Ovi Maps (Ovi meaning "a door" in Finnish) is a free mapping product and service by Nokia for its mobile phones and smartphone multimedia devices. There are maps for over 180 countries. 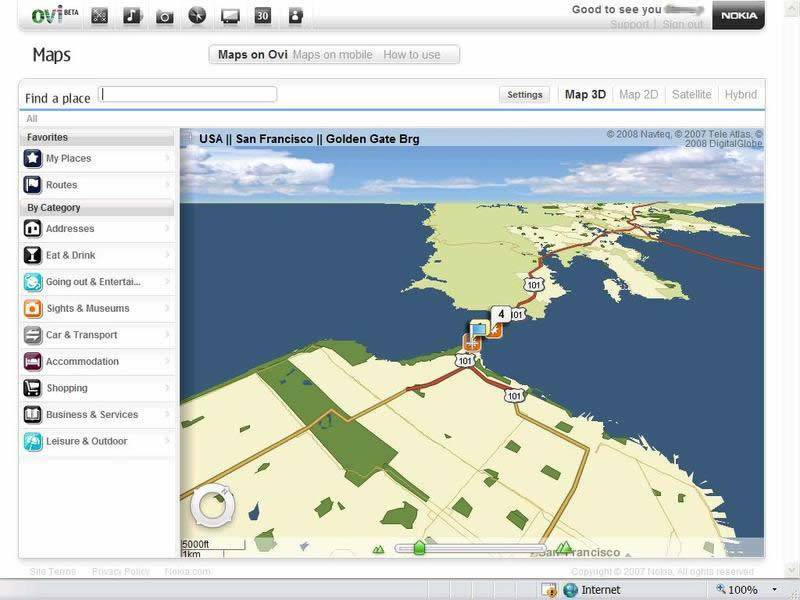 The Nokia Maps product Smart2Go, later renamed Nokia Maps and now Ovi Maps, initially came into existence after Nokia made the smart2go application free to download when it acquired the German route planning software company Gate5 in August 2006. Ovi Maps is a free mapping product and service by Nokia for its mobile phones. ...... company Gate5 in August 2006. Nokia Maps was expanded later, when Nokia acquired Chicago-based digital map supplier NAVTEQ Corp. to build further on their smart2go mapping application. Maps is part of the Ovi brand of Nokia's Internet based online services. Ovi Maps provides offline maps which have the advantage of not requiring an active data connection or even network coverage on the handset. Maps can be loaded onto the phone with Nokia Ovi Suite (for Microsoft Windows only) or through a web browser (on any operating system). Qweas is providing links to Ovi Maps 3.04 as a courtesy, and makes no representations regarding Ovi Maps or any other applications or any information related thereto. Any questions, complaints or claims regarding this application Ovi Maps 3.04 must be directed to the appropriate software vendor. You may click the publisher link of Ovi Maps on the top of this page to get more details about the vendor.